In a razor-tight race to govern Israel, voters are facing a clear question — is Benjamin Netanyahu’s time up? Or will the 69-year-old prime minister be anointed for an unprecedented fifth term. At a Tel Aviv campaign stop in a crowded market, supporters gushed over his 13-year leadership. Israel’s election is all about “Bibi,” as Israelis call him; a referendum on the most widely recognized political face of Israel. But no path to governing comes without a coalition of parties in the Knesset, Israel’s national legislature, and Netanyahu is working hard now to shore up his base. Fourteen main parties are competing for 120 seats. Last Friday, he warned that splintering right-wing support between many parties could wound his party Likud, and lead to a “”weak” leftist government. “Is that what you want?” Netanyahu challenged voters. Then Saturday night, in a local TV interview, Netanyahu vowed to extend Israeli sovereignty over Jewish settlements in the occupied West Bank, where hundreds of thousands of settlers now live. The controversy over West Bank settlements is seen by many as a major obstacle to a peace plan. “Canada does not recognize permanent Israeli control over territories occupied in 1967,” states government policy. “I think we’ve gotten to a point where we’re scared to be hopeful for the future of Israel,” said Ethan Haas, 18, a first-time voter in Tel Aviv. 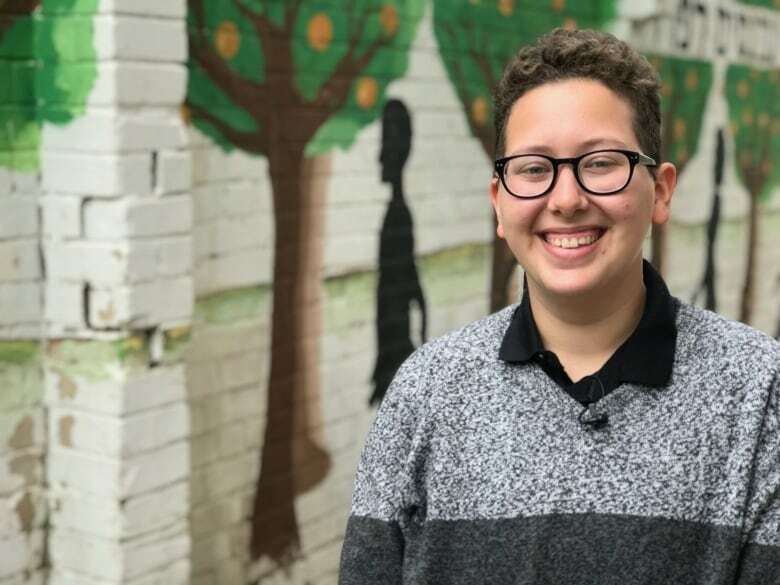 Haas is enrolled in a gap year education program — Mechinat Bina — which teaches Jewish culture to young people about to go into their compulsory military service. 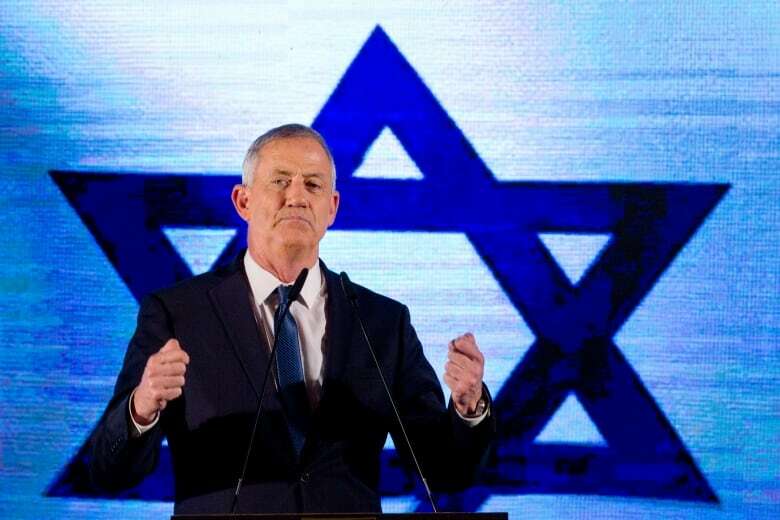 Netanyahu is being fiercely challenged by a new centrist political party, Blue and White, lead by Benny Gantz, 59, a former general and military chief of staff. Though he is a political newcomer, Gantz has mounted the most serious opposition to Netanyahu. “I’m not going to say do or don’t vote for anybody,” said Robert Wolf, a resident of Mishmeret, in central Israel. He can say that with heart-stopping surety. 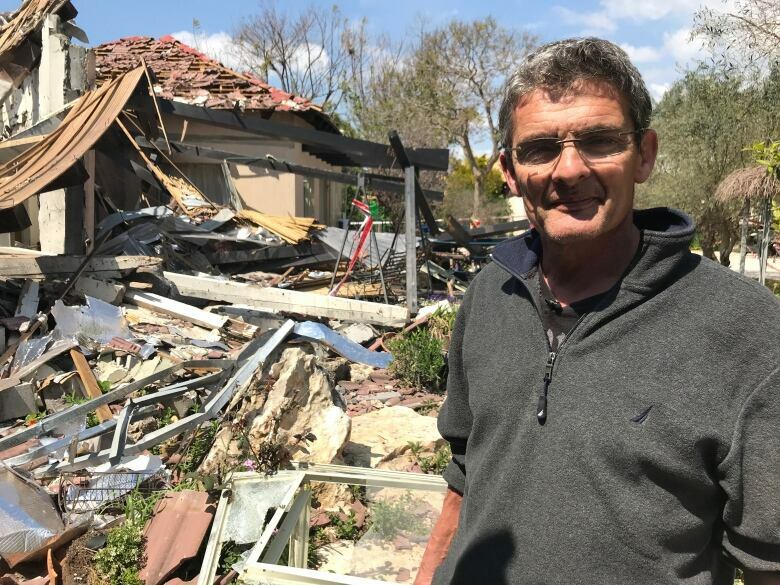 Wolf nearly died two weeks ago, along with his family, when a rocket fired from Gaza slammed through the roof of his home. Wolf’s son roused him from sleep, at the sound of the siren. He got out. “I hear this, like a whoosh, and then, a mighty explosion took place and my whole home was in the air,” he told CBC News. She survived, with shrapnel injuries. His whole family did, in “a night of miracles,” Wolf said. 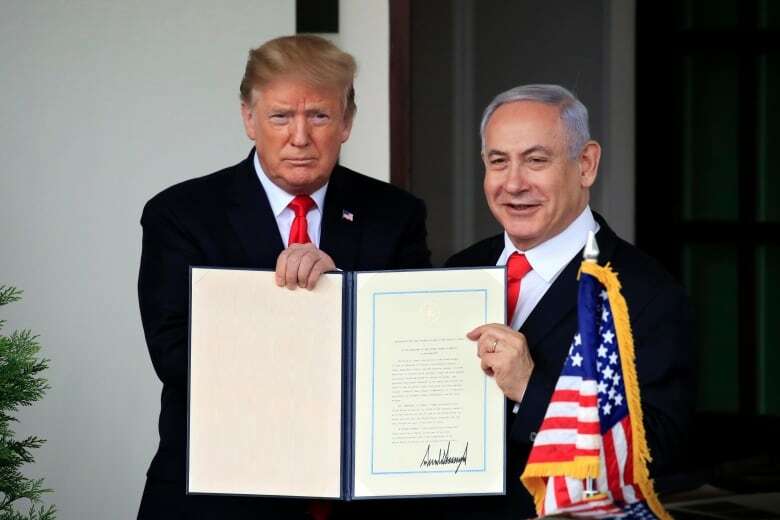 The rocket attack forced Netanyahu to cut short his visit with U.S. President Donald Trump to return home. The Israeli Defence Force retaliated, sending rockets into Hamas targets in Gaza. Few young Palestinians believe neither a renewed mandate for Netanyahu nor a leadership change will improve prospects for peace between Hamas and Israel. “I can’t see any good future with any Israel government old or new. I can’t imagine,” said Mahmoud Salman, 28, who works selling kitchen equipment in Gaza City for about $15 a day. 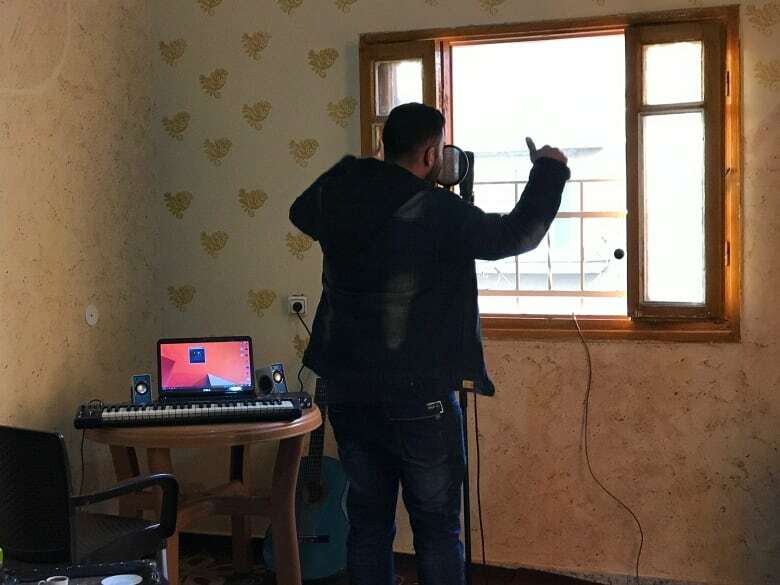 He said he “kills the pressure” he’s feeling by writing and recording rap songs. At a dusty lot, a group of young men play volleyball. Mahmoud El Najjar, 23, is a Phys Ed grad, but can’t find a job. On the eve of the vote Tuesday, polls project ‘King Bibi’ and his party could pull fewer seats but be asked to form a government anyway, building a coalition of right-wing parties. But Israeli election results are notoriously complicated and filled with their fair share of surprises.